The iconic film starring Gene Kelly, Donald O’Connor and Debbie Reynolds holds a certain nostalgia for many who grew up watching the movie and singing and dancing to its famous tunes. For the cast and crew of St. George Musical Theater’s production, bringing the beloved story to the stage was both exciting and challenging. From casting to costuming and choreography to the choral numbers, every detail that went into the process was a labor of love. As with any good theater production, finding the right people to fill the roles is essential. With a production like “Singin’ in the Rain,” where the roles were immortalized in film first, it becomes even more essential to make sure the cast can capture the essence of the characters. As a true community theater, St. George Musical Theater holds totally open auditions for every production. 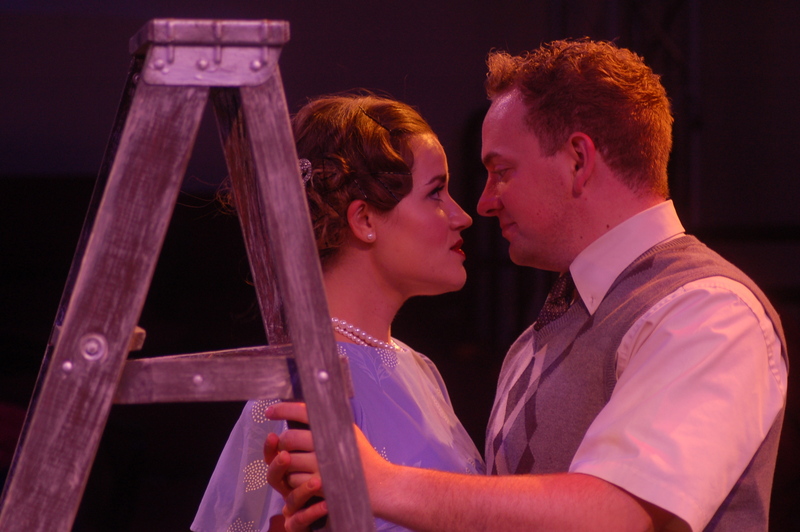 They do not cast their shows in advance and none of the roles are paid, said St. George Musical Theater’s Executive Director, Bruce Bennett. “Singin’ in the Rain” director Doug Bishop said the success of the show depends largely on the talent of the cast and crew. This can be particularly challenging as there is a large talent pool in St. George but there are also many other community theater’s pulling from the same talent pool, Bishop said. Auditions took place early in the summer and included a singing audition, dance movement and a speaking audition, Heidi Lee said. She plays the role of Kathy Selden, the role made famous by Debbie Reynolds. The role of Kathy Selden has been double cast so Lee will trade nights with Mimi Knell. Joining Lee and Knell in lead roles are Brayden Morgan (Don Lockwood), Brennan Walters (Cosmo Brown) and Ashlie Davenport (Lina Lamont). The leads are supported by a large cast of actors, dancers and singers who play supporting and ensemble roles. Auditions were dance and choreography-centric, Lee said, because it was important to be sure the cast could handle the movement necessary for such a strong song and dance show. Though St. George Musical Theater is a community theater, Bennett said they aspire to the level of professional theater in every aspect. Casting is critical but it is also just as essential to get the right production and technical crew on board. Along with Bishop as director, the production staff also includes Norm Lister as music director and Becky Reed as choreographer. Both Lister and Reed have long histories of teaching in their respective fields throughout Southern Utah. Bishop got into theater after a football injury led him to dance class for rehabilitation on his knee. Bishop found a home in theater and stuck with it throughout his life, becoming a theater teacher and director for many productions both in Southern Utah and in Salt Lake City, he said. “The professionalism and dedication brought by Bishop, Lister and Reed has really pushed our performers to the next level,” Bennett said. Rehearsals for the production began in June and focused heavily on learning choreography and music, Lee said. “It’s a long process with a musical because there is a lot to learn,” Lee said, adding that that is precisely what drew her to the show in the first place because she loves when a musical brings together equal parts, singing, dancing and acting. With a production like “Singin’ in the Rain,” besides the triple threat of singing, dancing and acting, there are extra elements such as costuming, lighting and technical effects that must come together to create a really magical performance. “This is probably our most ambitious show to date from a technical stand point,” Bennett said. The show includes several screen projection elements, large props and light and sounds cues which are a crucial part of capturing the look and feel of the original movie. St. George Musical Theater performs in the historic St. George Opera House, an intimate space where shows are done famously in-the-round. This is particularly challenging to stage but also very friendly for an audience, Bishop said. In such a small theater, sets are minimal and space is limited, but the audience has a great opportunity to get to be up close and personal with the action. Every year, patrons of St. George Musical Theater are asked what shows they would like to see produced and “Singin’ in the Rain” was one of the most recommended shows, Bennett said. Bennett added that he thinks it is a perfect show to open St. George Musical Theater’s fourth season in the Opera House. “It’s a slam dunk of a show,” Bennett said. Though the stage play is not done often, the popularity of the movie should be a big draw for guests both new to St. George Musical Theater and those who are regular patrons. “Let’s face it, we’re all addicted to the movie,” Bishop said adding that there are just so many iconic parts that many people know and love. The key story is the love triangle between Don Lockwood, Kathy Selden and Lina Lamont, Bishop said. But the show is also a history of film as movie studios and actors prepared to make the historic and technically challenging leap from silent films into talking pictures. 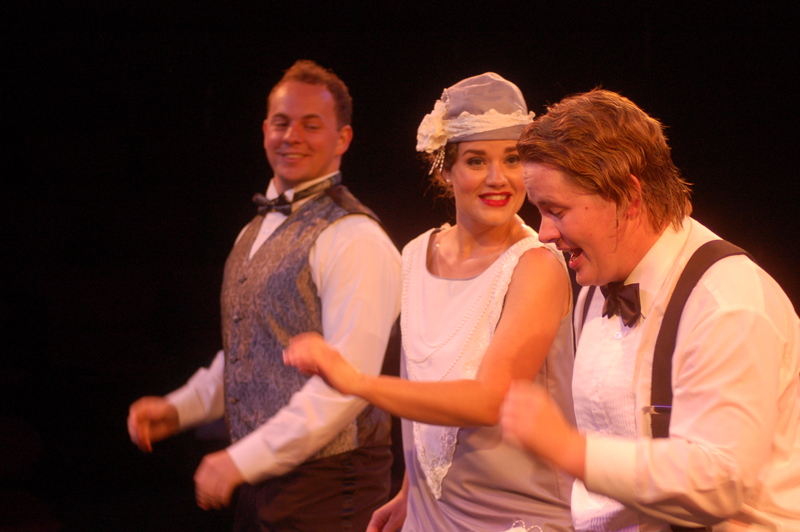 It is Bishop’s hope that audiences will come and be transported right into 1920s Hollywood with all the glitz, glamour and romance that only a show like Singin’ in the Rain” can offer. “I think it gives an authentic nod to the original film that everyone loves, so that when everyone comes they are going to see those elements they want to see and that they expect to see,” Lee said. 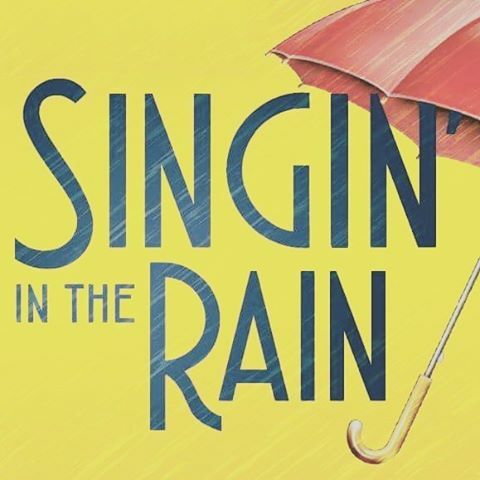 “Singin’ in the Rain” shows Thursdays, Fridays, Saturdays and Mondays at 7:30 p.m. starting Thursday and running through Sept. 16. There will be two matinee performances held on Sept. 2 and Sept. 9 at 2 p.m.
Tickets are $17-$21 and can be purchased online, by calling 1-866-967-8167 or at the box office at on the night of the performance. Box office opens at 6:30 p.m. each night. Discounts are available for groups of 15 or more. Note: St. George News reporter Hollie Reina, who authored this report, is a member of the “Singin’ in the Rain” cast. When: Thursdays, Fridays, Saturdays and Mondays at 7:30 p.m. from Aug. 17-Sept. 16 | Two matinee performances will be held Saturday, Sept. 2 and 9 at 2 p.m.
Where: St. George Opera House, 212 N. Main St., St. George. Purchase tickets: Online, by calling 1-866-967-8167 or at the box office at on the night of the performance. Box office opens at 6:30 p.m. each night.